CherrySue, Doin' the Do: Baby on Board - 10 Things You Need to Know About Flying with Babies! 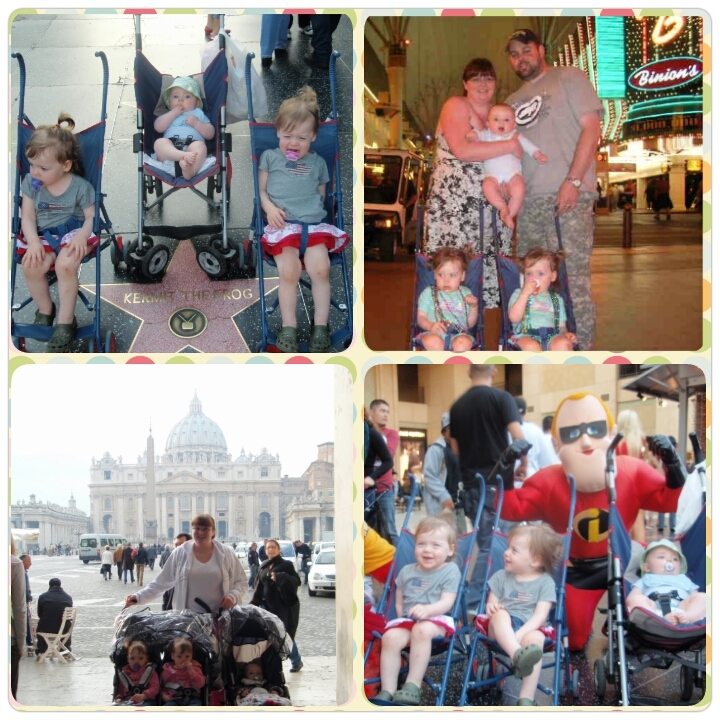 By now many of you will know that I’m a Mammy of 5 little people and we travel a LOT. The youngest I’ve taken them on a flight is about 3 months old so I’ve oodles of experience with the logistics involved with taking babies & toddlers on-board a flight. 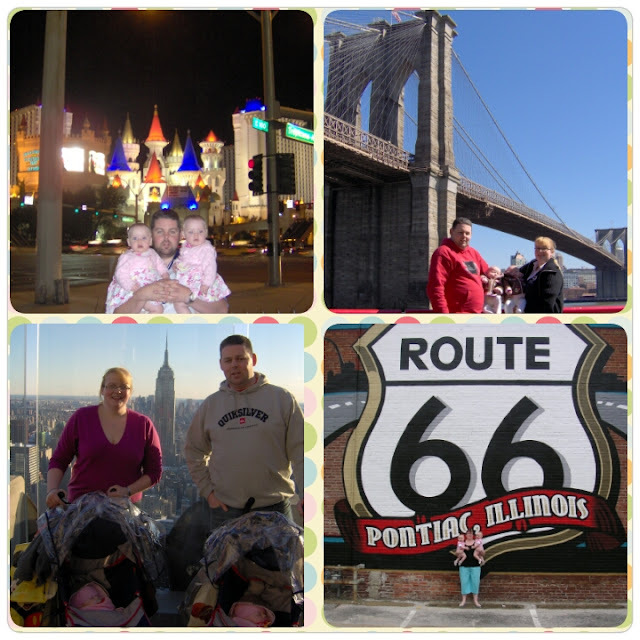 So in answer to first time family fliers I’ve decided to dedicate this post to the in’s & out’s of family flights. We have a post on Tips for Flying with Tots that you can read HERE but this is more concentrated on the basics of first time flights. Most airlines have roughly the same rules and regulations so I’ll concentrate on Aer Lingus & Ryanair. Aer Lingus: No restriction for babies but they require a doctor’s cert if baby is less than 2 weeks old also if baby was born 3 or more weeks premature a doctor’s cert is required up until 6 months old plus the number of weeks premature. Postpartum Mother’s will need a doctor’s certificate to fly if they have undergone an operation in the previous month before travel. Ryanair: Will not allow any babies under 7 days old, which is understandable really. Postpartum Mothers can travel 48 hours after an uncomplicated birth but if you underwent a cesarean there is a 10 day restriction; approval from treating Doctor is also required. Stone Travel Tip: If at all possible don’t travel until both you and baby are at full strength. 2. What baby equipment can I bring? Aer Lingus: One buggy per child plus one of the following car seat/booster seat or a travel cot will be carried free of charge. Ryanair: Same as above but if you wish to book a third item you can do so at booking stage for €10 or at the airport for €20 with a weight restriction of max 20kg. Stone Travel Tip: You check in your travel cot or car seat so I’d recommend bringing a blanket, thick plastic bags, roll of wide cello tape & a pre-written luggage tag (a4 page) to the airport with you. When you park your car, wrap the car seat in the blanket to protect it then in 2 black bags secure with cello tape & attach your tag all ready for check in. You'll see in my post about Trans-Atlantic flights with Tots that we forewent the buggies altogether, brought the babies in slings & bought cheap strollers & travel pens in Target! 3. Where do I leave my buggy? Aer Lingus: You will need to get a tag for your buggy at the check in desk at the airport then you can take your buggy airside as far as the door/steps of your plane, leave it there folded as it’ll be put in the hold. Stone Travel Tip: Make sure to mention you’d like your buggy back at the door of the aircraft upon landing. They’ll try to accommodate you as much as they can but some airports have restrictions whereby you must collect it at the baggage claim. 4. Does baby sit on my knee? Aer Lingus: Babies from 0-5 months must sit on an adult’s knee, using a baby belt provided in-flight. Babies 6-24 months can sit on an adult’s knee or you can purchase a seat for baby and use an aircraft approved car seat. Toddlers over 24 months must have their own seat and do not require a car seat. For long haul travel you can request a bassinet for baby, which is a cardboard cot with blankets and pillow placed on a fold down shelf on the bulk head wall. These are limited so it’s advised to call and request these seats at booking stage. With a bassinet seat baby will be required to sit on your knee for takeoff and landing. Aer Lingus regional flights do not allow car seats so baby from 0-24 months must sit on adult’s knee. Ryanair: Babies 8 days – 24 months can sit on adult’s knee. You can also purchase an “Infant Comfort Seat” so after takeoff and before landing you can put baby in that seat. You can purchase a seat for babies over 1 year old and use Amsafe CARES Child Restraint with a weight limit of 10kg – 20kg. Or you can buy a seat and use a flight approved car seat for babies 8 days- 24 months. Stone Travel Tip: Even though Ryanair say you can use a car seat from 8 days I personally wouldn’t waste the money on a seat as it must be a forward facing car seat so it’d be useless not to mention uncomfortable for a baby under 6 months. 5. What is a flight approved car seat? Aer Lingus: Must be a forward facing 5 point harness car seat. European car seat– the seat must have a CE sticker and "Certified for use on aircraft" printed on it. U.S. car seat– the seat must have a FAA sticker and "Certified for use on aircraft” printed on it. Seat must be under 17 inches/43cm in width. 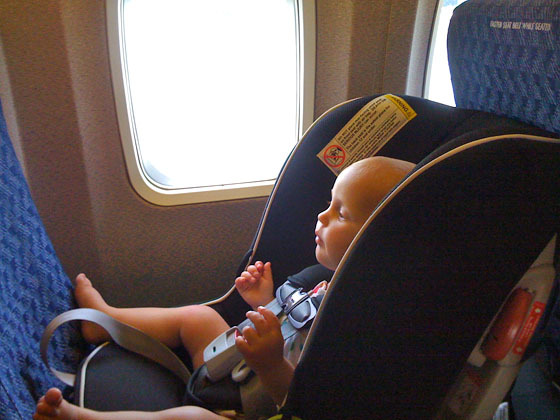 Stone Travel Tip: When using a car seat in flight for either airline you must book through the call centre not online. 6. How much does it cost to bring baby? Aer Lingus: Babies under 24 months travelling on your knee are €20 per flight no taxes or charges are added for infants. Long haul to USA babies is charged at 10% of adult’s rate and there is a discount for children aged 2 – 11 years. Ryanair: Babies on your knee are €20 per flight with no taxes or charges applied to infant tickets. Stone Travel Tip: Don’t be tempted to book an adult ticket for baby as sometimes they can cheaper in the sales, the airlines will not allow infants to travel on adult tickets. If you require a comfort seat with Ryanair or want to buy extra seat for baby you must book through the call centre. 7. What’s baby’s baggage allowance? Aer Lingus: For baby travelling on an adult’s knee there is no baggage allowance or cabin baggage allowance on European flights; however on flights to the U.S. there is an allowance of 10kg for a checked bag. If you purchase a seat to use a car seat for baby you’ll have full baggage allowance. Ryanair: Here Ryanair outshine Aer Lingus as they allow a 5kg baby bag for baby travelling on your knee in addition to your own cabin baggage allowance. Also if you purchase a seat to use with a car seat baby will have an allowance for a 10kg cabin bag and a second small bag. But if you opt to buy an infant comfort seat there is no baggage allowance with this seat. 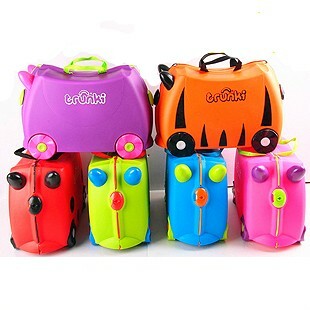 Stone Travel Tip: Even though you are not allowed extra cabin baggage for baby with Aer Lingus your hand bag will be the baby change bag anyway so no major worry there. 8. Any special offers for families? Aer Lingus: “Family First” offers children half price seat selection and half price checked bags once an adult is paying full price for these extras. 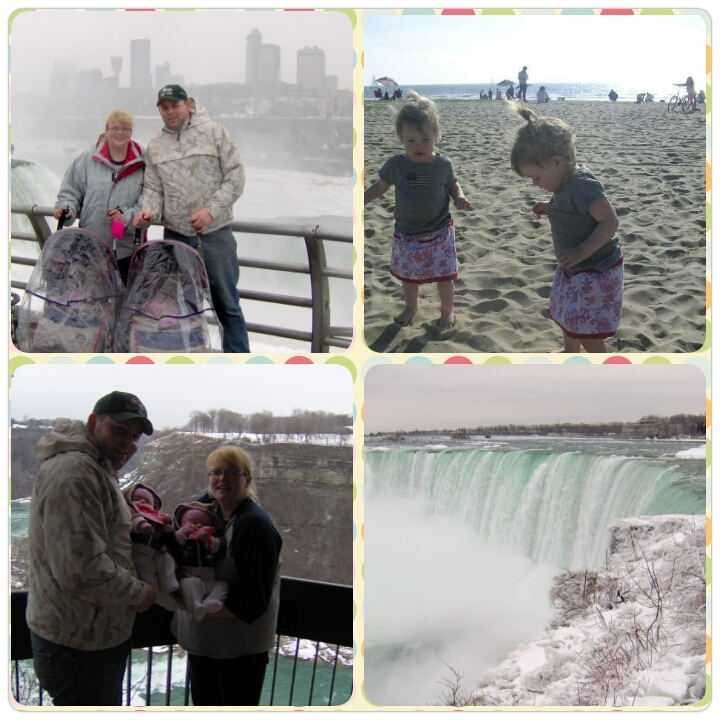 Maximum 2 children per adult and 4 children for 2 adults. Aer Lingus are better than Ryanair here as they offer check in free of charge both online and in the airport. They also offer evening before check in from both Dublin and Cork if you are staying local overnight for an early morning flight. They also pre board families with babies or children. Ryanair: “Family Extra” offers half price for children on a range of extras such as checked bags, allocated seating, priority boarding and travel insurance once an accompanying adult is paying full price for these extras, 2 children per adult and 4 children per 2 adults. If you use any Family Extra discounts twice in a calendar year you can apply online for a 20% discount for your third family flight. Stone Travel Tip: I really wouldn’t bother paying the extra for allocated seating, you are usually put sitting beside each other anyway as you booked together. If for any reason you don’t get seating together a word with the air crew advising that your child doesn’t travel well & might be violently sick works a treat! 9. What facilities are on-board for babies and children? Aer Lingus: There are baby changing facilities on-board all aircraft, children’s meals are available and cabin crew are only too happy to help warming a baby bottle for you. Stone Travel Tip: As we are a family of 7, I always bring sandwiches and snacks from home for our flight saving us a small fortune. I usually take a quick trip to Lidl & make up a mile high picnic! Rather than buying drinks on-board I buy them in the airport after security as it’s much cheaper than in-flight prices. 10. Can I bring formula or breast milk through security? Yes you can. Baby food and medicines do not fall under the 100ml rule set out by the EU Liquids Regulations. You can take as much baby food (liquid and powder) as you need for your flight through security but you must remove it from your bag and put it in the container to go through the x-ray machine. You may also be asked to taste it to verify it is baby milk. If it’s just juice they’ll probably ask you to dump it and buy more in the shop after security. 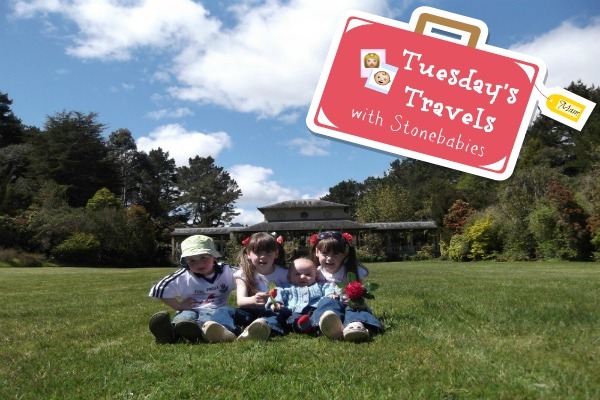 Stone Travel Tip: Purely for convenience I usually bring empty pre-sterilised bottles in my carry-on bag with cartons of ready made formula but as a backup I also bring sachets of powdered formula. You can and I have been asked to open cartons of formula to taste them, yes they are vile! I then just empty the rest into a clean bottle. If I have to use the powdered formula I buy a bottle of Evian water after security as it is safe for babies to drink without boiling, I then ask cabin crew for half a bottle of hot water & add the cold water to cool it. I always bring 2/3 extra feeds just in case of delays. Another thing I carry in my cabin bag is sachets of Calpol again just in case. I have oodles more helpful tips on Bringing with Bottle Fed Babies on Holliers HERE. Aer Lingus: You can take two infants on your own however one must be older than 6 months as they’ll have to travel in a seat in an airline approved car seat the other baby can travel on your knee. Ryanair: Maximum 1 infant per adult. Above all else, my top tip for flying with baby is to try to stay calm. It's easy to feel overwhelmed with the thoughts of everything that can go wrong but you're escaping on an exciting trip, what about all of the things that go right? I’d be absolutely thrilled if you could let me know you find this guide useful, you might share it with someone you think could use it and if you are interested in more of these how to posts do let me know! Have you flown with baby? Any tips you’d like to add? Did you know Sue & I have set up a Facebook Group for Mums on the Run (with or without the little ones)? It's bursting with hints & tips from fellow parents to help get you out the door ~ come join us!